Update (7/24/2006): Not that I’m trying to be mean, but a lot of readers have been requesting me to send them a copy of this song ever since I released this article. Today, I just decided to put the music online. Please comment at least a “thank you” before downloading. That will be enough payment for the bandwidth issues this file will bring. Download it here. There have been many memorable TV show themes that even children can recognize by a couple of notes. There’s “I’ll Be There For You” from “Friends,” the Simpsons, King of the Hill, etc. The theme song from the NBC sitcom “Will and Grace” is also very popular. It has a really great jazzy feel. I searched high and low on the Internet trying to find the score and I came across this long forum thread on 8notes.com discussing how to play the tune. Since the composer, Jonathan Wolff, did not market his score, a couple of talented music pioneers on the forum figured the song out and made it available to the public for free! Instead of forcing you to read the entire 8notes.com thread for the links, I’ve provided the main ones here them here as of June 27, 2004. Often, when I am learning a new song on the piano, it helps to hear the piece a couple of times first so I can get a feel for what it should sound like. To hear (and see) a couple of clips of the Will and Grace Introduction, visit Rob’s “Will and Grace” Page. After listening to a couple of clips, I noticed that NBC plays the song in a different key in almost each season! So watch out! This entry was posted on Sunday, June 27th, 2004 at 7:12 am	and is filed under Music. You can follow any responses to this entry through the RSS 2.0 feed. You can leave a response, or trackback from your own site. Don’t suppose I could convince you to make good on your offer and get you to send it to me, PLEASE? Thank you in advance! Brody. I would also be interested in seeing Matt’s version, as you indicated it’s the “best.” Any chance of your sending that to me? I will definately send you guys the music for Matt’s version! Thanks for visiting my blog and come again! You wouldn’t mind sending me a copy of Matt’s would you? Thanks for taking time. Would you be able to send me a copy? no problem! i’ll send you them right now! hey i would be ever so grateful if you could send me a copy too . . . I know that it’s like four months later, but it would be great of you could send me Matt’s version as well thanks! Hey, hopefully not too late notice, but I’d be much obliged if you’d send me a copy of Matt’s as well. It would be much appreciated! Thanks in advance! i’ve just sent all of you copies of this! Yeah, I’d like a copy too, thanks! hi~ i know it’s been a while but could you please send me a copy of Matt’s? I’ve been looking for the music for the longest time and can never find a good version of the song. Thanks sooo much! hi pretty pls pls send me matt’s version. thanks so mwuch! no probloem. i’ve just sent it! 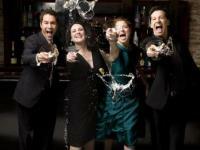 Will & Grace first season is broacasted in France and I love the theme ! Would you mind to send me Matt’s version? Hey mind sending me that music too? Love the music and the show. thanks! Nice, thank you very much for this! Hey, sorry to ask as well but could you send me a copy too? Thank you SO much!! thank you for this - we’ve been looking for ages! Hi, may I have a copy of Matt’s version as well? Thanks! thank you so much for putting it online! i’ve been looking for this music forever! i kno its a bit late but can i hav a copy coz dats my fav show eva!!!!! thnx!!!!!!!!!!! i kno its a bit l8 but can i hav a copy coz dats my fav show eva!!!!! thnx!!!!!!!!!!! Same question as everyone else… LOL could I get a copy… I’d love you forever. Thank you very much! It’s so great that you have that up here. I really appreciate it~ It’s such a great show! can you send me a copy of Matt’s version too please? Hey! I absolutely love it, too! Would you mind sending it to me? hey do you think you could send me matt’s version? thanks so much! Could you send me Matt’s version? Thanks! Hey, unless you’ve gotten tired of hearing from all these people(including me), I would appreciate it if you’d send me Matt’s version as well. If you would please send me Matt’s version I would be most grateful. sorry, just read the bit at the top of the page…thanks! Please send me a copy of matt’s version too! Thanks! I would love a copy of Matt’s version. Thank you!! Please send me matt’s version, I would love a copy of Matt’s version. Thanx!! Please send me Matt’s version. thank you! Matt’s version is REALLY popular. Why not post it as a torrent somewhere - like pianosheets.org ? Could you please send me Matt’s version too? Thanks in advance! Why not join everyone else! A copy of Matt’s version would be greatly appreciated whenever you have the time. Thanks for the download. I am thrilled to be able to play it on myown piano. i would also like a copy of Matt’s version. please send it to me too. thank you! i ABSOLUTELY lurrrve will and grace and love the piano almost as much so if possible, i’d love to have a copy of matt’s version! thanks heaps! Could I get Matt’s version as well? Thanks for doing this for all of us. Hey, could you please send me Matt’s version also? Like so many before me, thanks a million! We have been looking for this forever. What is Matt’s version and could we have a copy. Thank you Thank you Thank you! I heard this song growing up and have wanted to play it for a long time. Finally there is a version of it online. I heav read all of the comments ^ up there and Im wondering if Matt’s version is really good. Please send me a copy. It would be much appreciated. Thank You. Hey, Could you possibly send me it as well please!!!!!!! thanks! Hi, I would REALLY appreciate a cooy of that score. Please send it to me! Oh ok I just saw the link. Thank you so much, i’ve been looking for this sheet music for so long. Thank you again!!! You would absolutely make my year if you could send me matt’s version of the music please please? Hey, I didn’t get what you ment in your last email. I’ve tried the angelfire link and it’s said it’s been removed. Is there something I’m being stupid and not seeing? hey hey, don’t worry. I found it. Thank you so very much for the sheet music!!!! can you send matt’s version please? will greatly appreciate it! I’ve been looking for a copy of this for awhile now, and I’d really appreciate it if you could send me Matt’s version too. Thanks! We’ve been looking for a while and are glad to come across your info. My wife is a huge Will and Grace fan. and is also a Piano Teacher, She would love this, could you also send me Matt’s version? Thanks very much. Time to get practising. Thank you so much! Is Matt’s still available? Thanks again. Could you please send me the Matt version of the Will and Grace Theme , I’m looking for it for ages……. Hello! I feel really bad asking but could you also send me “Matt’s version”? hi could you send me matt’s version? Could you send me a Matt version too please? can i get a copy of this if it’s not trouble. hi! I wud like to ask for a copy of matt’s version if u don’t mind! I can’t wait to master it! Thank you so much! This is AWESOME! ! ! Yah but the link doesn’t work. If you can’t send it that’s ok but if you can that would be much appreciated. can you please send me matt’s version? seems like the hot item. thanks for dealing with all of this. Could you possibly send me Matt’s version as well? Thank you! Could you please send me Matt’s version too? I would appreciate it so much! Thank you! Hey, could you send me a copy too? I really appreciate that you’re doing this. Oh by the way, my e-mail is steven_gudmundson@hotmail.com … Thanks again! This song’s so catchy and recognizable, it’d be fun to bust this out in public. Thanks! hi, im also looking for the will and grace sheet music. can anyone pls send it to me too. thank you for those kind souls. chubstercute@hotmail.com. wow. last comment was from 2004. do you think it’s TOO late to send me a copy?? it’s too hard to figure out by ear so im just gonna have to rely on the music sheet. THANKS IF YOU CAN!! greatly appreciated! Thank you - I have been trying to find this music for a long time. I guess I just didn’t look in the right place! Thanks again. Hi, thank you soooo much! hi,… the links are broken,… so could anyone send me the 3 versions?? please!! Could you send me a copy of Matt’s version? I would greatly appreciate it. Thanks. I’m not the last, I’m sure, to ask for Matt’s version of this. If you could, please send it to me - thanks! thank you for posting this I have been looking for the will and grace theme tune for my brother to play for ages because he really wants to. thank you very much. much am i pleased that you do this. Hi! Can you send me Matt’s version of the W&G Theme? Thank you very much! Hello, can you send me Matt’s version of the W&G theme song? Thank you very much! Joining the bandwagon of requests for Matt’s version of the Will & Grace theme song. Would appreciate if you can send it to me, please. Thanks a lot! Ooops! Just noticed the download it here note above. Sorry! I have it now. Thanks! Me, along with 10 million other people, absolutely LOVE this show and would LOVE to learn to play it. You are awesome for getting a hold of this sheet music and posting it. THANKS, FROM ALL THE PEOPLE WHO HAVE USED THIS LINK SO FAR!!! Could you send me a copy of Matt’s version? I would greatly appreciate it. Thanks you. i can’t find this supposed link you’ve put at the beginning/end of each post, and yes i’ve read the entire thing. can you send it to me please? Thanks so much for the sheet music. Have been wanting this for years! can’t believe i finally found the sheet. Hey!!! I just want to send a BIG THANK YOU!!! I’ve looked all over for the music (like everyone else…) I didn’t find it until I got here!!!!! Thanks soooooo much!!!!!!!!! Thanks for the link. I love this song!! Fantastic to finally locate a copy of this music! Thank you thank you!! Thank you, Thank you!!!! I’ve been looking for this song forever. I’ve wanted to learn how to play it since the first time I heard it! could you please send me a copy of Matt’s version, thank you very much! Thank you for putting up with the myriad of requests as result of this theme song! I very much appreciate that you simply made the pieces available for download. Fun piece, isn\’t it? Thank you for sharing. Thanks!! Look forward to playing it! I just wanted to leave you a thank-you for posting the sheet music on your website. I am really looking forward to playing it as soon as I get off the computer. I hope you have an awesome day! i read the entire 8notes forum and tried every link which all didnt work except one which gave me a not so helpful, inaccurate midi but yeahh this has really made my day. Thanks a lot, I’ve been looking for years! Thanks so much, I’ve been looking for this for ages! Thanks! Ihave something new to attempt. yo guys!Im interested with the music sheet for piano of Will & Grace! WOAH AWESOME THANKS! been looking everywhere! Pity I\’m looking at this 4 years after the requests began for Matt\’s version, but if anybody here at all has is, could you please email it to me??!! Oooh I hope someone sees this! …ach, sorry about those hideous spelling mistakes! I\’ve been looking for this sheet for a long time and can\’t tell you how much I appreciate it!It\’s fantastic that you\’re willing to share it with us all. However, the pop-up which assumes that we\’re all too lazy to read is a little over the top and an insult to those of us who DO read and didn\’t bother you with a request. That said, again, THANK YOU VERY,VERY MUCH!! Thanks so much for the available download of this sheet music! Its awesome! You would be saving my life if you could send me Matt\’s version. I\’m sure you\’re really tired of sending this out :). I\’ve been looking for this forever! I would appreciate it soo much! Disregard that, I found it… I LOVE YOU! Thank you so much. Thanks so much for this - I’ve been looking for this score for ages! Thank you for the link, I’ve wanted to be able to play this for ages. Thanks again!! I look forward to playing this! Thanks for posting it! Just wanted to say a massive big thank you. Really appreciate it. Love this theme tune and have not been able to get hold of it. Off to play !! Just wanted to say a massive big thank you for your time! Off to play now ! Thanks ! Thanks for the tip. All I want to knkow is the name of the piece. Thank you for the sheet! The only version I have is a tad hard and not true to the song. Make your life easier get the home loans and everything you require. Thanks a ton! Good to know there are generous people like you that make filesharing fun! Have uploaded all available transcriptions to scribd. Enjoy and please comment as I want to perfect the score. Sib files for Sibelius available on request. AWESOME ARRANGEMENT! THANKS FOR SHARING! Excellent arrangement many thanks - sounds great (better?) at less than full speed too. Well thank you for the popup abuse, that was nice, but let me just say thank you for facilitating the download of the Will and Grace theme tune. Thank you very much! And greetings from Finland! THANK YOU SO MUCH!!! I’m really going to have fun with this Much appreciated sir! Thanks so much, I love this music! Thanks for taking the time to make it available. Thank you so much! My friends will absolutely love this!